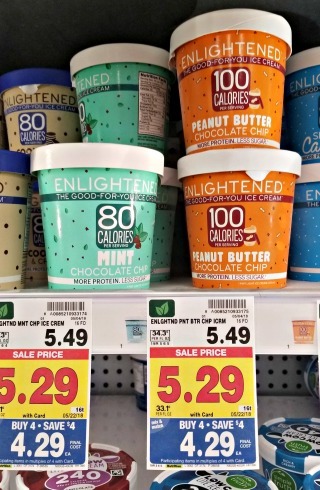 FREE + Moneymaker Enlightened Ice Cream at Kroger! FREE Ice Cream! Load the big Enlightened Ice Cream coupon and matching Ibotta offer. Grabe your FREE ice cream in the Kroger mega sale! FREE after coupon and cashback. Find the FULL 5/9- 5/22 Mega List HERE!